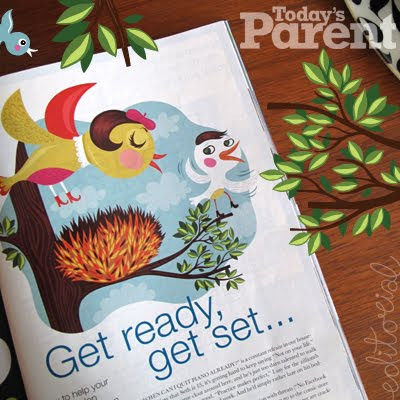 Editorial illustration for Today's Parent magazine on how to help your child develop internal motivation. Congrats! Your work is delightful! love how the momma bird is wearing boots! I saw! And I immediately recognized it as your art! awesome@! magic birds & crazy kitties..